An 89-year-old has found a job after placing an advert in his local paper asking for part-time work to stop him ‘dying of boredom’. Joe Bartley, from Paignton in south Devon, is due to start work at a cafe in the town after the owners of the family-run business spotted his ad. 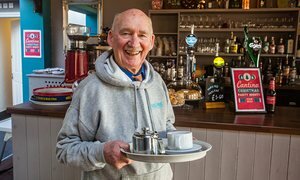 Joe also got a job offer from The Ginger Breadman bakery in Barnstaple, the owner explained he wanted the pensioner to know he had been offered a job in the hope that it would put a ‘smile on his face’. But Barnstaple was a little too far.